Every human needs water to survive. That is the bottom line, but why? The human body weight is approximately 60% water. 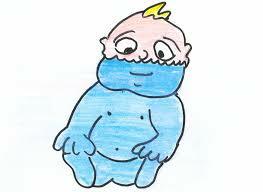 At birth the body is about 75% water, and it decreases over time. The human body makes use of water in all cells, organs, and tissues. This water helps regulate body temperature and also helps maintain bodily functions. Water is important for keeping body tissues moist. Water keeps parts of the body like our eyes or mouth hydrated and moisturized. This article concludes as well that it helps protect the human spinal cord. Water also works to cleanse the body. There are many positive effects of water, and it is almost vital to optimum health. 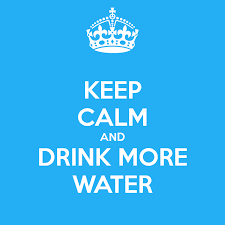 Drinking adequate amounts of water can bring many healthy benefits to the human body. To start, the human body loses water while breathing, sweating, and digesting, so it is very imperative to compensate for that lost water. Adequate water consumption allows the body to get rid of waste through perspiration, urination, and defecation. Water is also used by the kidneys, liver, and intestines to flush out waste. Water also prevents constipation by softening the stools which allows consumed food to easily flow through the intestinal tract. Water is not a direct causation of curing constipation, however. Water is also essential for the digestion process. Digestion requires saliva, which is enhanced by water because saliva is water based. Water also helps dissolve substances, for example fibers. Overall, water keeps the human body and brain in good standing. But If We Don’t Drink It? There are so many positive benefits to drinking adequate amounts of water, that there has to be a consequence for those who do not. Avoiding water consumption can effect the human bodily negatively after just one day. The most common consequence for not consuming enough amounts of water is dehydration. 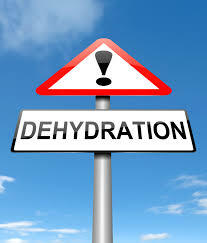 Dehydrated people show symptoms of headache, thirst, cotton mouth, and dry skin. More severely dehydrated people can experience fatigue, dark-colored urination (or not being able to pee at all), confusion, dizziness, and chest pain. Dehydration can also interfere with vital bodily functions, such as providing oxygen (you need that), disposing waste, and lubricating bones and joints. Being water deprived can also cause a change in electrolytes that the body needs to function. These electrolytes also effect the brain. This lack can cause a chemical imbalance, which can further cause irregularity in the heart’s rhythm. Dehydration has many negative effects, such as causing stomach ulcers, which is very painful. However, just like a person can be dehydrated, it is also possible to become over-hydrated or water intoxicated. This article explores this phenomenon. Overall, it is just smarter, and in a human’s best interest to consume adequate amounts of water to achieve optimum health. There is a reason why we are carried in water for nine months, and why we are born made up of 75% of water. There would most likely be no functioning human body without water. But according to the CDC, 7% of Americans do not drink water, which is very alarming. Drink water to be healthy, but remember not to drink too much of it, as it can harm you. But be aware that our water fountains here at Penn State also have lead in them (cough cough). This entry was posted in Uncategorized on December 2, 2016 by Taylor M Stewart. Wow, that’s a lot of information to absorb! It was put together very well, and flowed smoothly. There’s so many health benefits to drinking water, and making sure you get enough water, that many people are probably unaware of. Not only was this an educational read, it was an interesting one. I have always been advised from my parents since a young age to always try to drink water instead of soda. My parents told me that drinking water was a lot healthier and would also be healthy for my skin. While both of these things are true and important to take into account, water has many other benefits as you listed in your post. You are definitely correct when you noted that not drinking water would have a lot of negative effects on an individual. This is because without water in our lives not only would we not be able to function, but our entire world would not be able to as well. The importance of water is definately understated in my opinion. It amazes me that such an important thing is so readily available here in America, but some third world countries struggle to get water to all their people. I used to drink a lot less water, but after coming to college I realized how important it was to keep my brain and body functioning!